One day you’re walking towards the apartment you live in and out of the blue find yourself stabbed. You scream as loud as possible to ensure your neighbors hear your voice and alert the police. While they hear your plea, each of them, to be precise thirty-eight pairs of ears, completely disregard the alarming noise that comes from the outside of their cozy apartment and continue minding their own business; some go back to sleep while some perhaps continue reading a book while the attacker returns to finish what he had already started that will eventually take your precious life from you. There are in particular a few scenes that give you a close-up view of the crime that occurred decades ago. It’s the ones where a young woman imitates the last scream of Kitty Genovese, and the one where Bill Genovese speaks with the son of the murderer, Winston Moseley, who wanted to blame the black-and-white issue existing at the time, forgetting that one of his father’s victim was an African-American woman. However, in James Solomon’s film you will see something that the media back then preferred not to talk about; the fact that Kitty Genovese loses her life in the hand of her friend who, despite the danger that awaited her outside of her comfortable apartment, left to check out the noise that came from outside the building. 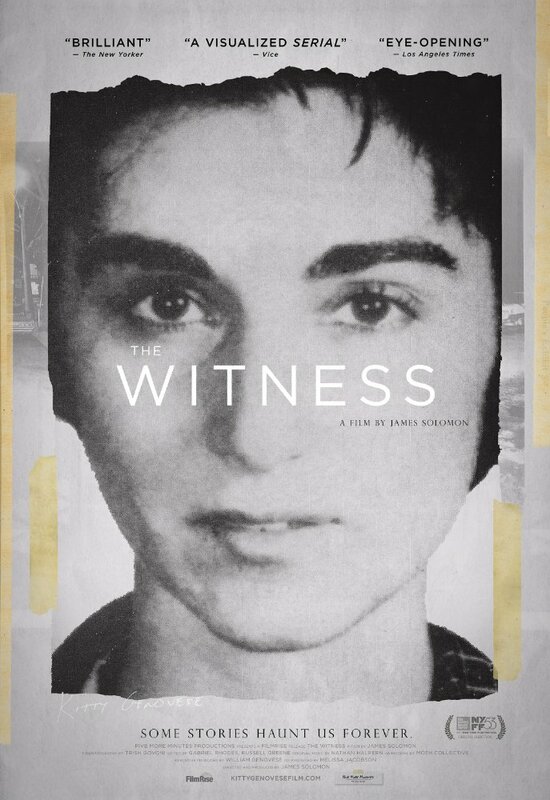 It is also about Bill Genovese’s vision of the event that occurred when he was little and how back then, still young and energetic, takes a stand to never become like the thirty-eight bystander witnesses of the crime against his sister. In conclusion, Solomon’s film is powerful, important and again very relevant nowadays which merits itself to be seen. While it brings one of the most shocking crimes back to life, he follows Bill Genovese during his journey in his attempt to relive the heartbreaking day again to see how was it back then when his dearest sister wanted help to be rescued, but never got it. This sounds incredibly tragic but also incredibly interesting. I’m getting more and more into documentaries nowadays (especially after Serial and Making a Murderer) so thank you for this suggestion. Great review, are you currently sharing your writing on any other movie/tv platforms? Hi, thank you for your kind words. This is the most important subject I always wanted to write about. Answering to your question, no, I don’t share my writing on any other movie/tv platforms. I’ve just shared this with a friend of mine as well (she’s big on Serial) and she agreed this looks extremely interesting. Well, if you’re interested, I’d love to help you get your writing seen on Moviepilot/Creators. Let me know if you’d like some more information. You can find my contact details on my ‘About’ page. I’d love introduce you to the platform.